At the heart of successful cGMP and QBD-based pharma manufacturing is real time operational data generated by highly networked control, sensing and analytical technologies across the process continuum. The volume of data generated by pharma enterprise information and manufacturing technologies is immense, but the availability of data is not the issue — what is at issue is the ability to generate high-quality data then extracting and shaping meaningful, relevant information from it, then delivering it to the organization in forms that serve business and process decisions. The efficient flow of data and information from process to executive suite and back is dependent on a well-organized, modern data/informatics infrastructure. But for many organizations basic data input and information handling remains haphazard and antiquated, relying on paper records, subject to human-induced error. Similarly, access to decision-supporting information continues to be problematic, with knowledge kept in silos and behind other artificial barriers that ultimately impinge on efficient, cost-effective operations. To gain clarity on IT-related issues facing the industry today, Pharmaceutical Manufacturing sought input from leading IT suppliers and consultants; convening a virtual panel to discuss trends in Pharma information technologies and reveal insight into how companies can better manage this aspect of their operations in pursuit of operational excellence and business success. Pharmaceutical Manufacturing: In spite of commercial realities prompting closer alignment between functional executive ranks (i.e. facility/manufacturing managers) and higher order business intelligence IT operations, it’s perceived a gap still exists. In your experience, what has been effective at closing this gap and creating the alignment pharma enterprise needs to be successful? Dino Busalachi, practice director, Unified Manufacturing, Applied Group: “The gap exists and unfortunately, in our experience it is all too often the ‘norm.’ For many years, the executive suite dictated its information priorities for the overall organization and IT served those interests: hoever, corporate IT and manufacturing have generally not possessed an intimate understanding of each other’s needs and concerns, leaving the operations/facility leadership to their own devices to collect, deliver and leverage valuable operational intelligence. However, the need for alignment between IT and manufacturing IT, supported by an integrated IT and analytics infrastructure, is critical — especially when it comes to the FDA and compliance. Owning and implementing an enterprise-wide intelligence solution has historically been capital intensive and challenging; it requires a close, ongoing relationship between corporate IT and manufacturing to deploy and sustain the solution. Given the often tenable relationship btween corporate IT and manufacturing, many executive boards have chosen not to invest the significant capital necessary to build the required infrastructure and implement manufacturing intelligence solutions. PhM: Most will agree that process data and record keeping is not managed as well as it could be in the Pharma space. Paper-based systems remain pervasive and record-keeping lapses have been identified as a major factor in compliance issues with regulators. But in spite of the obvious risk, it is feared that change will lead to tremendous expense associated with process revalidation and fresh exposure to regulatory scrutiny. Are these fears justified? And how might they be overcome? Trish Meek, product strategist, Informatics Business, Thermo Fisher Scientific: “No, those fears are not justified. I think these fears are born out of experiences that happened in the past, but the technology has improved greatly over the past five years. The reality is that the cost of maintaining paper processes far exceeds the cost of integrating systems. The other fact to consider is the potential cost to quality [that stems from] not removing manual, paper based processes. The best a human being can achieve is four sigma for transcription activities. That means that for every 1000 results someone transcribes from an instrument they will make 3-6 mistakes. This error increases drastically to 3 per 100 if there is math or stress involved. If just one of these mistakes results in a batch being approved and then later recalled, or a failed FDA audit, the cost of this one mistake would far exceed the cost of the IT system that would have prevented it. Forrest Rudnick, vice president, Vendor Management and Compliance, Datalynx-U.S.: “First and foremost, patient safety is the primary concern. This, above all other elements, cannot be sacrificed. I would have to include risk management to be addressed through business impact assessments audit and remediation efforts to improve the compliance aspect, which would be accomplished by a mindset alteration and effective and continual training. Removing the human element with validated systems and processes that provide repeatable and consistent output will yield a tremendous amount of data, either correct or incorrect, but consistent. So if incorrect, the fix would be relatively easy versus the human input and paper-chase system. Implementing an IT mindset and moving from paper to an integrated infrastructure will be met with mixed emotions depending upon which group within the company you address. Finance will not see it the same as data managers or process and operations personnel. Of course Senior Management will always demand more and one way to do so is through consistent process applications and a strong founded infrastructure inclusive of electronic signature, repository storage, data back-up and recovery and disaster recover plans. Each of these comes with a price but the performance far outweighs the paper systems and human interaction to maintain said systems. K.R. Karu, Sparta Systems Inc.: The fears of expense and regulatory scrutiny are unfounded and the opposite is actually the case. Managing processes and the related data from auditing, deviation management, CAPAs, lab investigations, change management and complaints in a harmonized global system creates efficiencies and opportunities for savings rather than an expense. Instead of managing disparate processes in siloed systems or paper records, these process records are easily shared and visible to all who are involved in the process. Root causes of issues and the corrective actions can be shared across other functional areas that may have the same conditions, and preventive measures for future problems can be addressed. Companies that cling to paper systems because of perceived cost savings and perceived protection from regulators eventually find that they are actually exposing their company to expensive manual processes that require excessive head count and create systemic quality issues that regulators can easily uncover with little effort. Once regulators find inconsistent adherence to SOPs, different methodology, and record quality between sites/functional areas will find themselves exposed to expensive regulatory actions. Ken Rapp, Accelrys: The fear of change and expense associated with integrating to a paperless system is historic in the pharma space. However, transitioning to a paperless system is ultimately essential for companies to thrive — reducing total cost of ownership and time to value while increasing quality and compliance standards. The efficiency of the new paperless systems is unparalleled compared with the old fashioned paper-based systems, and eventually the ROI will be too great for companies to ignore. Dino Busalachi, Applied Group: “Applied Group provided consulting for a pharmaceutical company that recently acquired the assets of another company and found that the acquired company’s data capture was entirely paper based because the organization said it was concerned about data storage. But from our perspective their concerns were less about data storage and more about compliance change management, operations and the introduction to new technologies and applications. So to this client, having paper in their manufacturing operations was deemed the least risky way of managing data. But frankly, if you are paper-based, the information provided is very stale. Managers are getting information weeks or months too late to do anything meaningful with it. Also, data can walk off your floor any time when it’s on paper, not to mention the fact that it’s hard to do trending on paper. In all practicality, it is impossible to do trending — let alone continuous improvement, or increased process understanding on paper. Documentation is a big deal. Applied Group was born in the manufacturing space as a consultant, so documentation and change management processes are in our DNA. Part of the isuue is they’re afraid ... and this is true for all highly regulated industries — whether that’s gaming, health care, financial services or manufacturing. They’re afraid of what the regulators are going to say to them if they change. But if the process is documented, logical and thorough, it’s less risky. 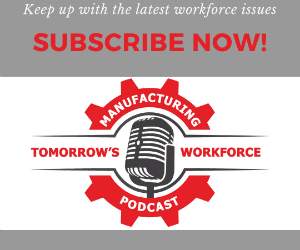 A lot of the recent 483s and other issues that manufacturers have been called out on are really because of a lack of rigor in their data and record keeping and their inability to back claims with high-quality process data. Lane Hirning, Product Manager MasterControl: “Are the fears justified? Yes and no. The expense of moving to an electronic system is reality but the benefits are also well known. There are expenses around the purchase, configuration, validation, and training of users on a new system. There is also the fear that the company will need to keep both the legacy and electronic systems active for some period of time with no clear ‘cut-off’ due to lack of confidence in the new system. I believe that this fear is based on the long deployment timelines for customized solutions of the past. The newer, truly ‘off-the-shelf’ software offerings and newer software validation strategies should overcome those fears. Software that is configured to the needs of the customer instead of customized is easier to implement, test, and validate. Configuration vs. customization decreases time to ‘go live’ and much of the ‘overlap’ of legacy and new electronic systems. Vendor executed Operational Qualification (OQ) and automated OQ testing decrease the time required for validation and allow managers to use risk-based decision making to only test the higher risk components and not waste time in lengthy validation efforts. I also believe that the current trends in IT virtualization will lead to easier, faster, and more trusted disaster recovery (DR) solutions which also bring about confidence in the new systems. How can information technologies best be deployed to improve on these imperatives? Dino Busalachi, Applied Group: “Concerns around product quality, cost reductions, improved profitability, risk reduction and compliance improvements — those frankly are what drive our conversations with our customers. Within the manufacturing side of our business, that is, our automation practice, we have a heavy focus on OEE [overall equipment effectiveness]. There’s the famous quote from management consultant and author Dr. H.J. Herrington, ‘Measurement is the first step that leads to control and eventually to improvement. If you can’t measure something, you can’t understand it. If you don’t understand it, you can’t control it. If you can’t control it, you can’t improve it.’ From our perspective, it’s all about OEE and it’s all about improvement and it’s all about real time contextual intelligence. Trish Meek, Thermo Fisher Scientific: “Because LIMS are tightly integrated with other enterprise operation systems such as ERP, insights from the lab have the potential to be even more central to businesses seeking true enterprise-wide agility. Businesses aren’t simply capturing and collecting data; they are making data actionable across the enterprise, putting management in the position to transform their businesses into agile organizations capable of responding quickly to market trends or new regulations and flexible enough to recognize and capitalize on cost-saving or margin-growing opportunities in the future. Today’s LIMS is far more than just a lab information system. It is also a laboratory resource planning system. And while the concept of a truly ‘paperless lab’ has been hotly debated for many years, it is really only now coming into its own. The capabilities of the latest Informatics solutions are capable of fully integrating the laboratory, eliminating for the most part many of the paper-based processes that have caused bottlenecks in workflow or contributed to errors in transcribing results and generating reports. PhM: What, in your opinion, are the key elements of an effective data/informatics infrastructure? Ken Rapp, Accelrys: “For a data/informatics infrastructure to be effective, it must be flexible enough to meet the needs of a very dynamic customer environment. Customers should have the ability to use barcoding, connected computing or mobile technologies. Everything should be accessible whether on the premise or in the cloud, and it should have the ability to migrate from what is currently in place today to a new environment tomorrow. It’s also essential for customers to have the ability to work with their partners, and this partner ecosystem is constantly changing and evolving, so the infrastructure must also have the ability and flexibility to change too. Forrest Rudnick, Datalynx-U.S.: “Key obstacles for achieving an effective data/informatics infrastructure facing pharmaceutical manufacturers today include an unstable economy, rising costs and fierce competition. Constant pressure from leadership to improve operational costs while embracing quality and long term output, cost reduction and quality/productivity improvement is always the fore front of executive meetings. With growing Global competitiveness undue pressure on cost, quality and customer demands, people cannot measure, monitor, and control performance for all personnel during the process time. It is important to track and leverage information technologies/systems and automation and satisfy management. K.R. Karu, Sparta Systems Inc.: “The first step is to identify your core strategic systems for data, including ERP as the foundational system, and then Enterprise Quality Management Software (EQMS), LIMS, Document Management, CRM and any others that may be necessary to run your business. Then define which systems are responsible for which processes, and make sure systems can share data and hand off results to each other. Embrace technology advances: for example, using i-Pads during audit processes and mobile devices to report events as they are discovered. PhM: What do you think are the consequences to the Pharma industry if it fails to effectively leverage information technologies to tackle industry challenges? Forrest Rudnick, Datalynx-U.S.: “A key area of misunderstanding [stems from the fact that] many of today’s executives did not come up through the ranks of the blue collar environment so they do not grasp the far reaching effects and impact to all the processes and systems involved when demanding greater output or higher efficiency at a lower cost. The FDA Warning Letters and notification of violations repeatedly identifies the same issues regardless of what facility is inspected primarily due to humans not performing consistently as machines. Where a machine can run 24 x 7, be shut down for preventive maintenance or calibration and then be up and running again with consistent output, people cannot. Even on their best day, humans will always introduce errors into the process. Trish Meek, Thermo Fisher Scientific: “To push the boundaries of innovation, companies across the life sciences spectrum must assiduously monitor performance and quality and be ready to capitalize on opportunities to transform and grow. The good news is that many established pharmaceutical companies have spent more than two decades methodically adding technology in preparation for these challenges. But all this investment could be for naught unless these companies take deliberate and strategic steps to align non-integrated, often disparate resources in ways that enable maximum agility for their businesses. And for a lab of any size, new technologies go well beyond instrument advancements alone; cloud and mobile computing, for example, are driving major changes that not only affect business velocity, but also lower entry barriers to increasing competition. In this way, technology is an equal-opportunity catalyst that puts even more pressure on CIOs to stay ahead.